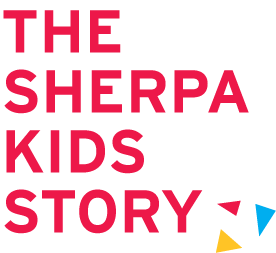 Sherpa Kids was launched over 20 years ago in New Zealand and are the only franchised on-site, Outside of School Hours Care (OSHC) operator in Australia. Leading the market, our aim is to establish quality on-site OSHC programs throughout Australian Primary schools. High quality and affordable out of school hours care is an absolute priority for parents. Reliable, consistent and responsive before and after school care providers are hard to find and Sherpa Kids have built both their business and OSHC programmes with this in mind. They have developed a fun and flexible, engaging programme of before school care and after school activities that can be tailored to fit the individual requirements of schools and their curriculums. The Sherpa Kids brand is synonymous with trust, integrity and expertise and this underpins their systems and most importantly their people. In the same way that mountaineers use the skills and knowledge of the Sherpas to guide them safely to their summit, you can rely on Sherpa Kids’ expertise and hard work to guide you through everything that goes with managing, planning and running an outstanding and affordable business. The Sherpa Kids team are dedicated to providing top of the line childcare services and are looking to expand their national footprint, initially in Victoria, before growing across the country. The objective is to spread the Sherpa Kids brand as far across Australia as possible, with a mantra of quality over quantity. We are committed to the vision, mission and goals of Sherpa Kids, our team and our clients at all times. We will always speak the truth and will only ever make agreements that we intend to keep. We will always look for ways to improve and add value to our programs. We will always speak positively of our team members, both in public and private. We will never use sarcasm, profanity or listen to gossip. We are always willing to learn from our mistakes. We look for practical knowledge and solutions rather rely solely on theory. We focus on cooperation and seeking resolution as opposed to compromise. We will always look to systems for a solution. If a problem arises, we follow the systems in place until a new system is introduced. We are consistent in all our actions so that our customers feel comfortable when dealing with us at all times. Sherpa Kids are leading the Australian childcare industry. They are the only franchised on-site, outside of school hours care in the whole of Australia. As the industry grows, Sherpa Kids will always be the longest standing original OSHC franchise. You will be shown the ropes and mentored. The Sherpa Kids team will assist with business development and finding schools for your own Sherpa Kids franchise. Being experts in the industry, they have experience in recruiting new partners and initiating relationships with community members and industry leaders. The market is growing and expanding, and with new schools being established throughout the country there will always be a need for childcare services. This is an extremely sustainable market to be in. Sherpa Kids look after their franchisees by providing a helping hand with the day to day running of the business from maintaining best practices all the way to marketing your franchise. The branding and social media aspects of marketing are all taken care of and your input is encouraged. Expert advice and support is also provided to all franchisees. With low establishment costs and no need to build a site, you are already well on your way to great success and financial profit. With the help of Sherpa Kids, you will win over local schools and have full access to a system that has proven to be extremely effective in terms of revenue and numbers. Sherpa Kids was launched over 20 years ago in New Zealand and now operates in over 150 New Zealand schools, with more than 60 franchisees. The model worked so well in New Zealand that it is now worldwide. The Sherpa Kids brand that started in New Zealand has developed and evolved into an international house hold name. As a Sherpa Kids franchisee you will receive 2 full days of head office training that will involve marketing, systems and software as well as 3 full days of onsite training. You will hit the ground running and be able to confidently run your own franchise. Processing accounts with a childcare management software. A former teacher, Mick started his career in the NSW police force and small business before finding his passion for teaching. One day in 2012 he found himself on bus duty, calling out the names of pupils boarding buses for various after-school day care centres. A Year 6 boy approached Mick and asked him not to call out the name of his day care as he found it embarrassing that he had to go to a ‘pre-school’ at his age. That was Mick’s light-bulb moment. A discussion with the team at Sherpa Kids sealed the deal for the school, and Mick’s relationship with Sherpa Kids developed from there. Today, Mick runs his own Sherpa Kids service in Narellan, NSW, in addition to owning the Country master franchise for Australia. As Sherpa Kids’ New South Wales Area Development Manager, Ted is an energetic and innovative project manager with expertise in delivering transformational change across a variety of business functions. He believes that effective leadership qualities are critical to career success and his professional style is based on this approach. Ted has worked with household Australian brands like TNT Post Group and Woolworths Limited, helping to transform and streamline the logistics and operations sides of these businesses. You’d be an ideal candidate if you’ve got previous experience in the childcare industry, a diploma in education or higher and some past business experience. Sherpa Kids franchisees should be resilient, have a positive can-do attitude and a creative, switched-on mind. Above all, we’re looking for someone with a real passion for working with kids and an eagerness to learn, help others and build a successful long term business. The Sherpa Kids’ franchise fee is as little as $40,000, with an initial training fee of $3,500. Low franchise fees and no site preparation costs mean that franchisees can begin to earn a return on the investment more quickly. Contact our recruitment team for a confidential discussion to learn more about the available opportunities and becoming a franchisee with Sherpa Kids.